The Choir is established upon the opening of the Cathedral Church of St. John’s at Concord and Market Streets in the Brandywine Village of WIlmington. The choir expands to include girls. The Cathedral Dean and Director of Music look for a way to address the challenge of noisy neighborhood children in the Cathedral green after school. They invite them to form a choir, and they add voice and piano lessons for interested students. The Choir School is recognized as the best after school program in the nation with the Coming Up Taller award presented by Laura Bush at the White House. The choir tours England, singing services at Exeter Cathedral, Truro Cathedral and Buckfast Abbey. Volunteer mentors begin to work with individual students through a Mentoring Academy, and support students with math, reading and study skills. The choir tours New York City and sings at St. Thomas Church Fifth Avenue, Trinity Church Wall Street, The Cathedral Church of Saint John the Divine, St. Patrick’s Cathedral and St. Bartholomew Church. 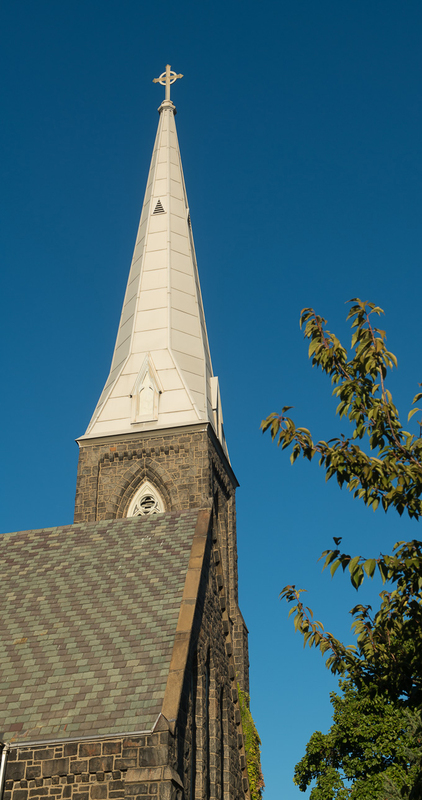 The Cathedral Church of St. John closes its doors and the Choir School begins leasing space on the second floor of the Episcopal Church of Saints Andrew and Matthew. In 2017, the Choir School returned to its historic roots at the Cathedral Church of St. John.